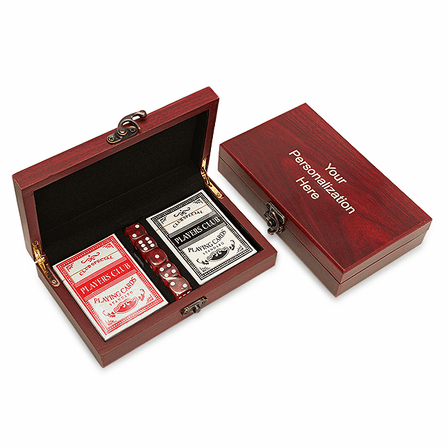 Get your favorite poker player a gift that they'll really love with this personalized rosewood playing card and dice gift set. 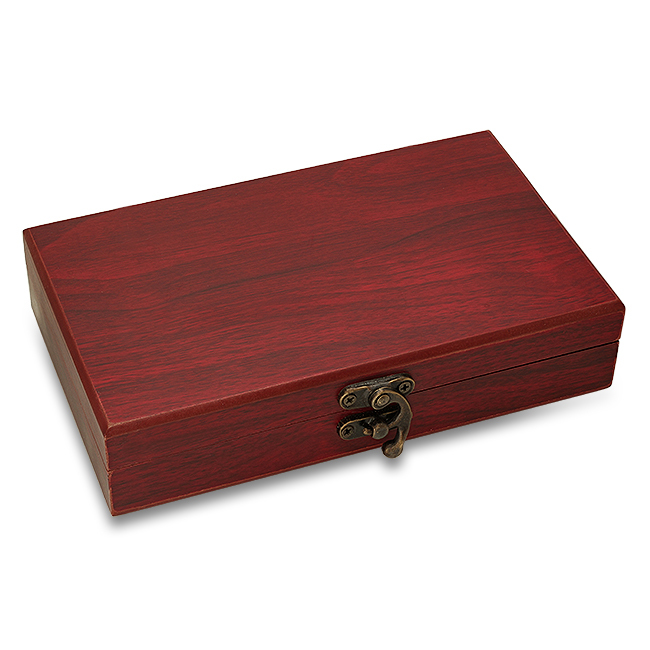 It is made of solid wood with a rosewood finish and polished brass accents. It uses an antique brass clasp to open and close. 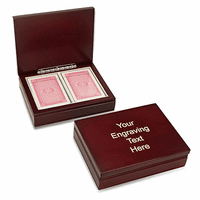 Inside, it has a black velour lining with two separators in the middle to hold the dice. 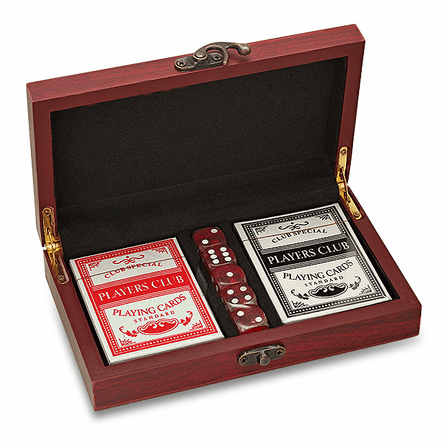 The dice and decks of playing cards come with the set. Add a free laser engraving to the lid for a uniquely personal touch - great for groomsmen gifts, birthday gifts or corporate awards! 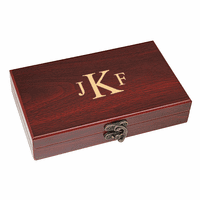 Gift set dimensions: 7 1/2" x 4 1/2" x 1 3/4"
Hi - just wondering when you will have the rosewood finish personalized cards and dice set back in stock? Thanks! I'm so sorry, our wholesaler has not given us an ETA on this set's arrival. It looks like it may not be until the new year. I bought this as a gift for my husband and he absolutely loves it. Thank you Executive Gift Shoppe! Item was as described and arrived on time.. will definatley do bussines again!!! I purchased this for my kids to give to their dad for Xmas. It arrived faster then expected. The personalization turned out stunning. However there was one little gouge in the back of box which is fine. Overall best gift I purchased for my boyfriend in years.